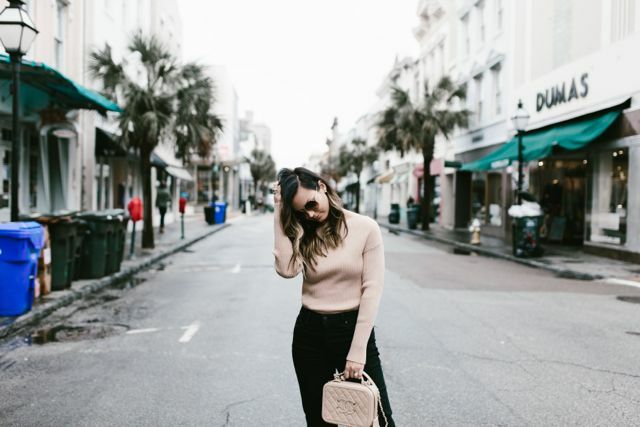 There's nothing I love more than a chic, neutral look that's casual enough to feel comfortable in all day long. 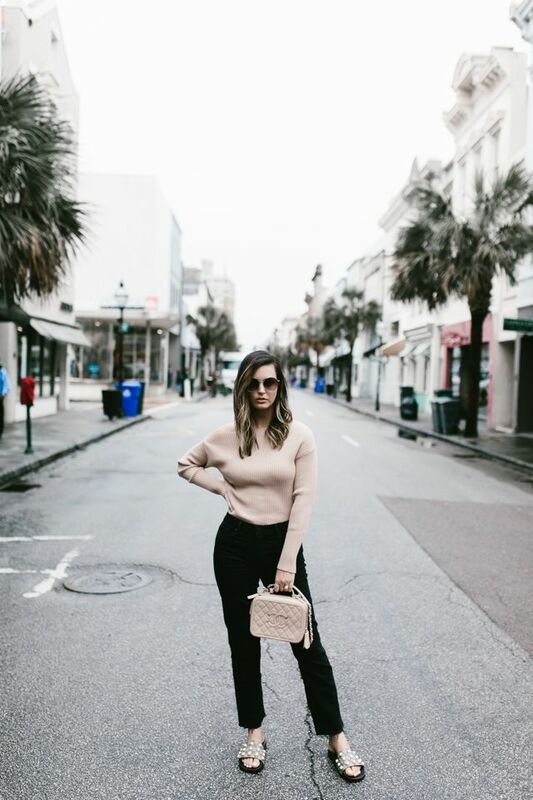 While we were in Charleston last week, it was pretty chilly (although I took every opportunity to wear my new Gucci slides, shamelessly), so a light-weight sweater + denim combo was perfect for running around the city all day. 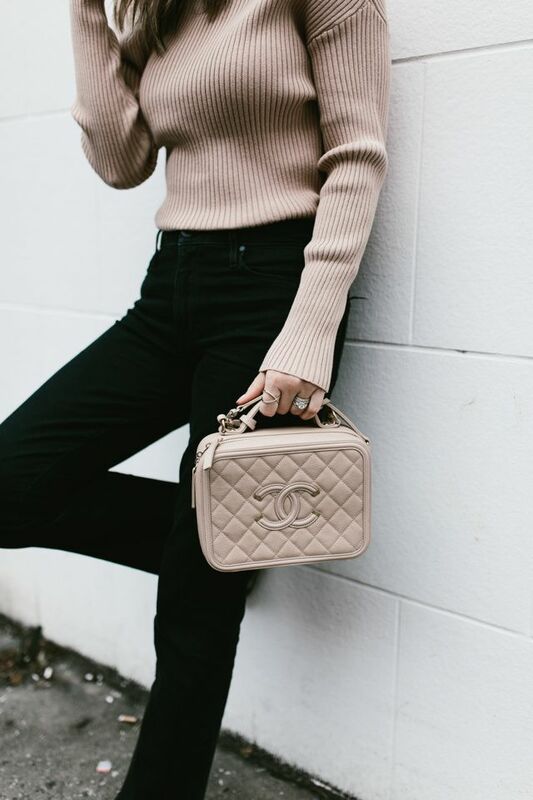 The moment I saw this off-the-shoulder sweater, I was in LOVE because it's the perfect shade of blush. (My favorite, as you all know.) 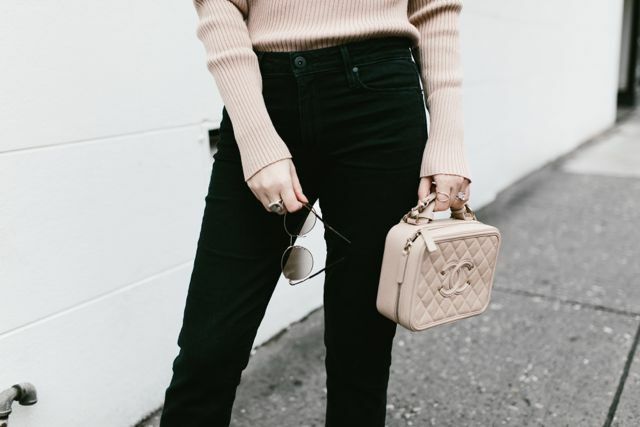 The shoulder detail adds a fun touch of chic to an otherwise basic sweater and I loved pairing it with these slightly flared jeans. Also, I had been looking for the perfect pair of round sunglasses for a couple of months and finally found the BEST. PAIR. EVER. I love large sunglasses (these are 58mm), so almost every pair I ordered or tried on was way too small for me, but this pair is goals. I love everything from the striped sides to the gradient lenses - worth every single penny! I hope you all had a great weekend! After traveling all last week (Sorry for my MIA-ness on here the last few days!) we took it easy for the most part and worked on a few projects around the cottage + went to a sweetheart charity ball Saturday night. Yesterday was filled with church, family, and the surrounded by friends for the big game! My ideal, easy-going weekend - I only wish it was warmer!! I'm beyond ready for Spring! Minimalistic and elegant outfit! I like your slides very much! Those sunglasses look great on you! And I love that sweater!! This is such a great look, Megan! I love shades of blush too! 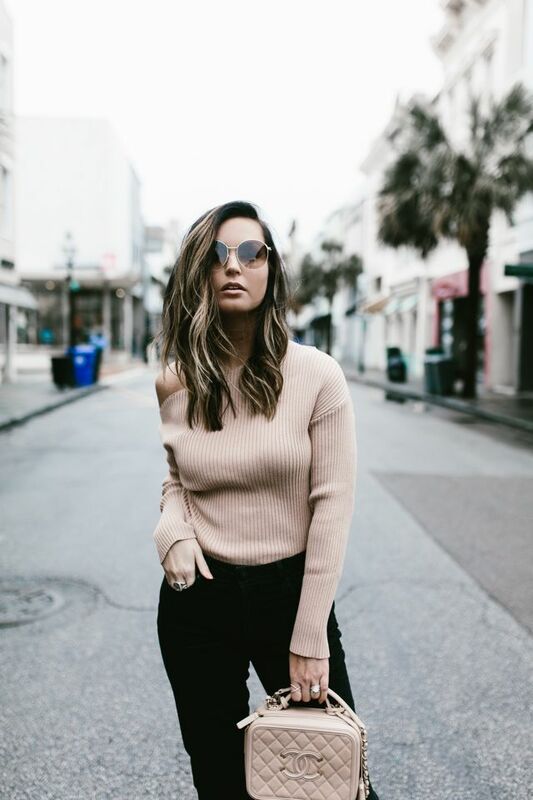 My sweater and your sunnies are totally calling my name! I simple yet put together looks like this!